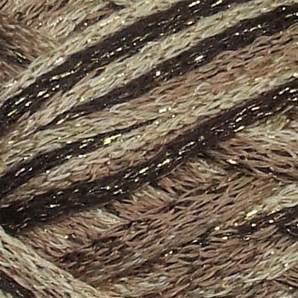 Rumba Sparkle 5 from Designer Yarns in soft browns and chocolate. One ball makes a glittering ruffled scarf, instructions provided using 8mm needles. 30m per 100g ball.